A hard money loan (i.e.,an asset-based loan) is any loan secured by the value of an underlying asset. Most of these lenders will only give loans of up to 65 percent of an assets market value. But what if you intend to renovate a distressed property which is significantly undervalued at the time purchase? To secure more in the way of financing you need to understand what your property worth is after you’ve repaired it (the after repair value, or ARV). Asset-based lenders could offer more financing if you can demonstrate the potential of a project. However, to explain a project’s potential you need to understand property valuations. Relying solely on appraisals will limit your understanding and wont serve you in the long run as a real-estate investor. Professional assessments are also expensive and time-consuming. Your best bet is to develop your sense of what a property is worth by comparing your estimates with that of a licensed appraiser. Educating yourself this way will develop your understanding of property valuations. An excellent way to start training yourself when it comes to property values is to use the comparable sales method. You can begin to estimate the ARV yourself by utilizing the comparable sales method, which could help you qualify for a larger hard money loan. The first step is to assess your subject property, look at its location, what is the neighborhood like and what impact does this have on the properties value? Figure out the lot size and determine the condition of the exterior. Find out essential details about the property, its size in square feet and its amenities (i.e., Number of bedrooms and bathrooms). Find 5 to 10 properties similar to your subject through local listings. Only consider properties that have sold within the last 3-6 months, are in the same location and have a similar size and similar amenities. It is crucial that you don’t look at distressed properties. Remember you are trying to determine your properties potential after you have made renovations. After you have enough comparable properties, consider the ones that are the most similar and find the properties with the highest and lowest selling price to estimate a range of value for your subject property. These numbers will give you a sense of what the property will sell for after you make your repairs. With this understanding, you can thoughtfully discuss the potential of your renovation project with a lender and qualify for the best loan. Even the most informed estimate of a properties value is only an educated guess. If you rely solely on appraisals, you aren’t building your knowledge of property valuations. Using a simple comparable sales method is an easy way to increase your understanding of property valuations and the after repair value of your property. Having this understanding builds your lenders confidence in your project and increases your eligibility for a larger loan. Borrowers can tend to be in a hurry when they are seeking hard money loans. Sadly that can lead to making a poor choice as a result of not checking out options for hard money lenders. Finding the perfect property can be very exciting. The potential for making a great profit can make many new real estate investors rush through the process of selecting a lender. But using hard money lenders is no different than using a bank or a mortgage lender. And borrowers should always follow the same process when selecting their lender. As with any business deal, you will want to complete some research on all potential lenders. This will tell you how long they have been in business, who they typically loan to and the types of loans that they normally offer. You might also be able to read customer reviews online or testimonials. All of this will let you know what other borrowers experiences have been with each of the hard money lenders that you are considering. Talking to each lender will also give you a good feel for their level of interest in their clients. If the lender asks about your plans for the property, how you are financing the repair expenses and about comps in the area then he or she is interested in not only getting his or her money back but also in your success. Working with a lender who has a genuine interest in seeing you succeed will make the process much less stressful. Hard money lenders who are interested in creating long term relationships will express interest in each project. In addition, they will be more willing to work with you on creative or different terms than they normally offer. Bait and switch is a sure sign of an unethical lender. In these events, the lender offers great terms that the borrowers can’t refuse. Then as soon as the borrower verbally commits to the lender, the lender supplies a loan offer with drastically different terms. In most cases the interest rate is much higher and there are other hidden fees added to the final cost of the loan. A catch and release situation is where the lender charges several fees upfront that the borrower must pay before getting the actual loan offer. Once the borrower pays the fees then the lender ignores the borrower and never provides a loan offer. The lender gets to keep the fees and the borrower is faced to find a different lender. Both of these cases are certain signs of dishonest lenders. When you are seeking any type of loan, don’t be intimidated by the lenders. Think of them as you would any other service provider and complete your due diligence to be sure that you are doing business with a reputable lender. An honest lender will not be offended by questions about their standard terms or loan practices. While commercial lending rates are up, there are still many individuals and businesses that are finding it difficult to obtain the commercial loan they need. Fortunately, there are lenders that offer greater flexibility. In 2017, small banks approved 49 percent of funding requests—quite a jump from 2008 when about 80 percent of small business owners received a rejection. That still leaves over 50 percent that are not getting approved and you may have found yourself one of these. Don’t give up on your dreams. There are other lenders that you can turn to when banks say no. Hard money lenders are one of these options. They are usually private lenders that base their loan qualification standards on the collateral or assets of the property or business. While most banks require credit scores in the 700 range, private hard money lenders do not have these strict qualifications. They will want to know what your plan is for the business or property and what your exit strategy is. After all, this is how they will receive their capital as most offer interest-only payments for a set amount of time. These lenders offer short-term loans with terms that usually extend from 3 months to 3 years. Because they approve loans that have been declined by traditional lenders, there is usually an increase in risk and, therefore, a higher percentage rate often applies to the commercial loan. These types of loans are helpful for young or new entrepreneurs who may not have the credit score required by traditional lenders. If you have a high-risk, high-return business strategy, a hard money lender may very well have the capital you seek. Many of these types of lenders are not risk adverse. In fact, if you can get them excited about your proposed business plan, have the necessary collateral, and some experience in your chosen segment, chances are good that you will leave with a loan. This doesn’t necessarily mean that all the required assets must come from the proposed business. Many individuals start their own business by using the collateral that has been established in their home or other investment properties. What are Possible Exit Strategies in a Hard Money Commercial Loan? Your exit strategy is an important part of obtaining this type of loan and one that you will want to consider before interviewing potential lenders. Here are a few of the strategies that businesses use: they sell the property or refinance with a more traditional lender after a property has been renovated or a business is showing a profit. Self-amortizing can also be considered, though it is a little risky. While most hard money lenders allow you to pay interest-only payments while you are developing your business or property, you may want to consider paying both principal and interest during the full duration of your loan so that it is paid off upon maturity. You will need to determine just how you will create this cash flow in order to be able to make the scheduled payments. At Level 4 Funding, we offer hard money commercial loans that are quick to funding and require little paper work. We offer three simple steps to obtaining your loan: a loan application, purchase contract and written approval, all of which can be accomplished in as little as 24 hours. Call us today to see if we may just be the lender that can make your dreams come true. Time can be a critical factor in some commercial property purchases. But even when time is not a factor the purchase, your time is valuable and you want to close on commercial loans as quickly as you can. Commercial loans require a great deal of time and information. Lenders need to verify the borrower’s ability to afford the loan and the payments before they are willing to assume the risk of funding the loan. And the only way for all of this investigation and discovery is to provide detailed documentation to the lender. If you are completing the application process for the first time or it is your first application to a new lender, then you should ask for a very detailed list of documents that the lender will require. This not only shows the lender that you are consciences but also that you are eager and willing to invest the time needed to get them their requested documents. Your lender is likely to work at the same speed at which you do when they make a request from you. Work quickly to set the bar high and have your loan completed in the shortest amount of time possible. 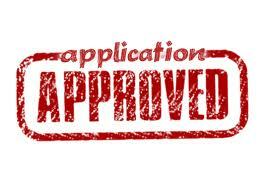 Most lenders have a complete list of the documents that they need to evaluate applications for commercial loans. Requesting that list early will allow you to invest the time necessary to assemble a complete and thorough loan application. Consider this document to be your official introduction to a new business partner. Be certain that it is complete, professional and free of errors. This is your one chance to make a good first impression and demonstrate your overall professionalism. When submitting documents, be sure that your profit and loss sheets are well labeled and easily understood. Call out any one time expenses clearly so that there is no question of missing information. Included full copies of the past two years of tax returns for the business and for any owners. If anyone has filed for an extension, include a signed copy of that document as well. Also, be sure that any bank statements which have been requested are included in full. Do not omit blank pages. Including photos of the interior and exterior of the building can be very helpful, especially if the lender is not local. But even if you are using a local lender, the pictures are helpful and can offer a more complete view of the property. Also be sure that any health or safety issues are remedied prior to the lenders inspection. Most lenders want these particular issues repaired before the closing. Finally, if the property has current tenants, be sure to include valid copies of each lease in your documentation. Lenders only make money when they are fulfilling commercial loans and earning interest. They are as eager to complete the application process as you are. Investing the time to present a complete and accurate set of documents along with your loan application is certain to make the approval process more rapid. In addition, it is the best way to create a strong first impression and foundation upon which to build a long term business relationship with your lender. The end of 2017 wasn’t quite the strongest quarter, but overall 2017 was a really good year for commercial loans. Just recently, Bank Financial Corporation released their impressive numbers from 2017 and many others in the industry shared the same success. With a 20 percent increase from last year, Bank Financial Corporation recorded a net income of $9 million dollars. There was a decline in the 4th quarter from previous years, but it was mainly due to accelerated payments and also prepayments of leases. On top of that, the reduction of wholesale deposits did cause a decline in total deposits in the 4th quarter, but 2017 still saw an overall increase. Commercial loans and industrial loans san an increase in $53.5 million dollars in 2017. Also, seeing increases, multi-family residential real estate loans increased by $45.5 million dollars and middle market commercial leases grew by $18.1 million dollars. Bank Financial Corporation wasn’t the only company that saw an increase throughout 2017. Many in the industry also saw just as impressive numbers when it comes to all the different types of loans. It was a favorable year for Bank Financial Corporation set a new record with commercial related loan balances of $1.22 billion dollars. The total retail and commercial deposits didn’t grow, but it also didn’t decline either, leading to stability throughout the year. Stability isn’t the best scenario, but it is a lot better than seeing a decline. Which is why many in the industry are hoping that the numbers continue to increase or at least be stable as we continue into 2018. Bank Financial Corporation thanks the positive trends due to a new organization structure. With such a great year with accelerated growth with commercial loans, Bank Financial Corporation has given credit to the success to new key business plan objectives that they were able to execute for a successful year. The company is hoping to continue to improve and become more efficient throughout the new year. The company was able to organize their plans to successfully deliver the business that their consumers are looking for. The momentum from 2017 is expected to continue through 2018. Due to the successful year, Bank Financial Corporation has been able to obtain new customers, acquire new account types and even expand relationships with existing customers. Bank Financial Corporation is the holding company for Bank Financial National Bank, who currently have 19 offices across the United States and offer things like commercial loans. Does Our Government Really Hate US? Really? What’s wrong with our economy? People (consumers) have stopped spending money. They are sitting on a boat load of cash and they are in a wait and see mode. The second reason why there is a decline is that the government has put up road blocks to keep spending money. One of the biggest road blocks enacted are the Dodd-Frank Regulations that are making it extremely difficult for individuals to purchase homes. When someone purchases a home it’s not just the seller and buyer who are happy. There are those downstream of this closing that are going to be happy when the home closes. Typically the listing and selling agents are happy, but there are others who also benefit from this happiness and make a living off of the sale. Sure the buyer is happy, they have their dream home they always wanted, and the seller is happy since the can move to their next home, or maybe get rid of the current home. It’s going to be a Happy, Happy, Happy fest. The agents who listed/sold the home can’t wait till they receive the final HUD 1 is completed and the title company sends out the checks to the brokers. Most agents keep a list of the transactions in their pipeline and like most agents, their spouse is quizzing them on the transactions. My wife usually says, ‘got anything closing this week’? She says this specially during the holiday season. I’m happy to say that yes!. This is going to be a good Christmas. However there are many others who will benefit from this transaction and will have a happy Christmas. Title company and the title agent are getting something from this transaction, like title insurance & escrow fees. The loan company, Loan Officers, Loan Brokers, Underwriters, support staff, company sales rep also benefit. Home Inspectors, and termite inspectors are getting some of the money. Handyman who will fix the conditional items from the homeb inspection also get a piece of the deal, and don’t forget all the hardware stores will get a piece of this pie when the handyman buys a new faucet or other item to be fixed. Tax payers benefit when home taxes are being paid in full with collections of future taxes. Insurance companies are writing a new policy. HOA’s are going to receive a transfer fee and maybe impact fees. Neighbors are going to be happy to see a new neighbor. Disabled Vets are going to receive all of the stuff the new home owners are going to give away before they move. Utility companies are going to get a change notice and if the account is past due, they are going to get paid. Appraisal companies will get their piece of the pie also. It is amazing when you think of all the people who will touch this transaction to complete the deal at all. BUT what’s really startling is how many people will be able to keep their job, put food on the table and survive. With all of this occurring, we should sell homes all the time, but I’m shocked by the road blocks our government has put in place to stop this from occurring. In an effort to fix the last collapse of the housing industry, the administration has generated a mountain of mind numbing regulations to stop consumers from purchasing a home. It’s like passing through gates of hell to get a loan. We have gone too far in the wrong direction to fix the problem. The incoming administration has indicated that they are aware of this problem and is promising to fix the regulations ASAP. Let’s get money flowing again! About Dennis has been working in the real estate industry in some capacity for the last 40 years. He purchased his first property when he was just 18 years old. He quickly learned about the amazing investment opportunities provided by trust deed investing and hard money loans. His desire to help others make money in real estate investing led him to specialize in alternative funding for real estate investors who may have trouble getting a traditional bank loan. Dennis is passionate about alternative funding sources and sharing his knowledge with others to help make their dreams come true. Dennis has been married to his wonderful wife for 42 years. They have 2 beautiful daughters 5 amazing grandchildren. Dennis has been an Arizona resident for the past 40 years. Seasoned actual property traders know that so as to make money in your actual property funding, it’s essential that you simply select your funding property correctly. In case you are a brand new investor, take recommendation from the professionals who’ve been there and carried out that when it comes to funding properties, Texas hard money lenders. Making money in actual property is one half timing, one half luck, and the remainder is planning. Whilst you will not be ready to management the timing or your luck, you can also make a plan to make money. Having a plan makes it extra doubtless that your funding will grow to be a hit story, reasonably than a cautionary story. When it comes to funding planning, nobody does it higher than Texas hard money lenders. Hard money lenders give specialised, money based mostly loans for investments. It could be your first repair and flip, however they’re seasoned professionals who’re used to weathering dangerous markets and nonetheless popping out on prime. Listed here are just a few ideas from Texas hard money lenders that may assist be sure you come out on prime too. Choose the situation of your funding property correctly. You may change finishes, renovate kitchens, and even knock down partitions. In need of investing in a trailer (which Texas hard money lenders do not advocate, by the best way), you may’t transfer a home. Be sure you choose a fascinating location to take advantage of money in your funding. Do not over-extend your self. Do not spend extra on a home than you may fairly make if you promote it. Additionally, do not over-renovate as a result of it will make you lose money in the long term. Get an correct appraisal of any property BEFORE you purchase it. Most flippers get value determinations after they repair up a property, however when you’ve got misplaced money it’s too late at this level. Having the property appraised earlier than you buy it provides you with an thought of if you happen to’re getting a very good deal and can allow you to gauge what you might give you the chance to promote it for. Get an inspection. Whereas most funding properties are bought as is, a house inspection might help you make it possible for there usually are not points which can be past your skill or price range to take care of. By following the following pointers from Texas hard money lenders, you can also make money and save your self time and stress in your first actual property funding undertaking. Calling within the assist of hard money lenders, Texas actual property professionals, and different traders might help you just remember to make money in your funding, reasonably than lose it. Name a hard money lender in the present day to get began making actual property investments in the present day! In regards to the creator: Dennis has been working in the actual property business in some capability for the final 40 years. He bought his first property when he was simply 18 years previous. He rapidly realized concerning the superb funding alternatives supplied by trust deed investing and hard money loans. His want to assist others make money in actual property investing led him to focus on various funding for actual property traders who might have hassle getting a conventional financial institution loan. Dennis is captivated with various funding sources and sharing his data with others to assist make their goals come true. Dennis has been married to his great spouse for 38 years. They’ve 2 stunning daughters four superb grandchildren. Dennis has been an Arizona resident for the previous 32 years. Being a landlord could be a very profitable enterprise in case you are pushed, have some handyman expertise, and like working with folks. With hard money lenders in Texas you may qualify for a loan on a rental property, even when you have rotten credit score, a excessive debt to earnings ratio, or different monetary points. If you’d like to personal rental properties, you’re in good firm. Rental earnings could be a nice complement to your funds and in some instances, be sufficient to give up your different job. If you’d like to be a landlord, you want to look into hard money lenders in Texas. Hard money lenders give out specialised, hard money loans. A hard money loan is an asset based mostly, money loan that may make it easier to buy funding properties. You should use hard money loans for a variety of conditions together with money for a down fee and even to finance all the buy. 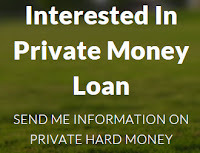 Loans from hard money lenders in Texas are particularly helpful in the event you want money rapidly like in the case of an public sale property or foreclosures. Typically you may get a nice deal by having money in hand in contrast to the promise of conventional financing. That is very true in case you are buying an public sale or foreclosures property. Earlier than you make the leap and change into a landlord, you want to guarantee that it will likely be a good match to your way of life and targets. Being a landlord normally means being on-call nearly 24-7. Except you personal a number of properties and might afford managers and upkeep corporations, a lot of the work will fall in your shoulders. It’s also useful when you have some fundamental house restore expertise or have connections to get upkeep for reasonable. Upon getting determined that being a landlord is the proper selection, Texas hard money lenders will help make your goals come true. If turning into a landlord utilizing loans from hard money lenders in Texas appears like a good choice, be sure to do your analysis earlier than you commit. Listed here are three conditions the place hard money loans could make your goals come true. 1. You anticipate a windfall or making above common lease on the property. Hard money loans do carry a increased rate of interest so they aren’t good long run options. However, in the event you anticipate a giant windfall they are often a nice bridge loan to purchase the property now and pay later. If the property is a nice deal in a excessive lease space hard money loans may be a nice choice if you may make money above and past the rates of interest. 2. You want money rapidly. In case you want to transfer quick on a deal, hard money lenders can get you authorised and get money in your pocket rather more rapidly than a conventional financial institution. three. You’ve gotten a bad credit score or different monetary points. Hard money loans are based mostly on the benefit of your funding and its capacity to generate earnings for you and your hard money lender. Which means Texas hard money lenders do not care an excessive amount of about your credit score rating or debt to earnings ratio. If you’d like to study extra about how hard money loans will help you change into a landlord, contact Texas hard money lenders at present! Do not wait any longer to make your goals come true. Name a hard money lender at present and focus on your loan choices. In regards to the creator: Dennis has been working in the true property trade in some capability for the final 40 years. He bought his first property when he was simply 18 years previous. He rapidly realized in regards to the wonderful funding alternatives offered by trust deed investing and hard money loans. His need to assist others make money in actual property investing led him to specialize in various funding for actual property buyers who might have bother getting a conventional financial institution loan. Dennis is obsessed with various funding sources and sharing his data with others to assist make their goals come true. Dennis has been married to his fantastic spouse for 38 years. They’ve 2 lovely daughters four wonderful grandchildren. Dennis has been an Arizona resident for the previous 32 years. In case you are an actual property investor, you understand that Texas hard money lenders are an excellent assets on your hard money loan to buy and rehab a repair and flip property. As well as to offering hard money loans, Texas hard money lenders additionally know a factor or two about property renovations. For a lot of first-time flippers, the method of renovating a house will be overwhelming. If you end up not figuring out the place to begin, it may be simple to over-improve a house. Whereas this many not sound like a giant deal, it’s. When you over spend on renovations, you run the danger of placing extra money into the house than it is possible for you to to get once you promote it. In case you are not sure what renovations will provide help to make money and which to skip, you want to seek the advice of the specialists. Texas hard money lenders have given lots of hard money loans on repair and flip homes and seen many success tales, in addition to failures. In consequence, they know the place it is best to splurge and what tasks it’s your decision to skip. 1. Flooring: If you buy a repair and flip property, likelihood is that the flooring will probably be in dangerous form. Stained carpet, burned or scratched hardwoods, and even carpet that has been fully eliminated and offered as scrap. Consumers don’t want to buy a house with tattered, worn, or lacking flooring. Sturdy laminate and greater finish carpet are nice choices which can be price range pleasant. If the house is in a very prestigious neighborhood, it’s your decision to look into springing for hardwood or tile. 2. Kitchens. A kitchen will actually assist promote your private home. If the kitchen is dated, spruce it up with new paint, home equipment and counter tops. You may look into quartz choices to assist save money. 3. Main structural points. If you buy a house and discover that it wants a brand new roof or has basis points, these will make it inconceivable to promote. Just be sure you price range for any main points that will come up throughout your renovation. Texas hard money lenders know that structural enhancements are a should if you need your private home to promote for high greenback. Upon getting determined to buy your fist repair and flip, be certain that to discover Texas hard money lenders that can lend a serving to hand. Name the specialists at Stage four Funding to get your renovation mission began and make money right now! In regards to the creator: Dennis has been working in the actual property trade in some capability for the final 40 years. He bought his first property when he was simply 18 years outdated. He shortly discovered concerning the superb funding alternatives offered by trust deed investing and hard money loans. His want to assist others make money in actual property investing led him to concentrate on different funding for actual property buyers who might have bother getting a conventional financial institution loan. Dennis is enthusiastic about different funding sources and sharing his information with others to assist make their desires come true. Dennis has been married to his great spouse for 38 years. They’ve 2 lovely daughters four superb grandchildren. Dennis has been an Arizona resident for the previous 32 years. If you end up within the place of being foreclosed on by the financial institution, it’s possible you’ll really feel the scenario is hopeless. Nevertheless, with different funding options supplied by Texas hard money lenders, it’s possible you’ll give you the chance to delay foreclosures lengthy sufficient to promote your property and preserve your credit score rating intact. Whereas not the demise sentence that it used to be, a foreclosures continues to be a significant purple mark in your credit score historical past. Having a foreclosures could make it tough to buy a brand new residence and trigger a number of different credit score associated issues. Foreclosure can occur for plenty of causes. The lack of a job, divorce, or just needing to transfer for work or household obligations. In lots of instances, the debtors being foreclosed on are in any other case credit score worthy and pay again their monetary obligations. If you end up getting behind in your mortgage funds for any cause, it’s doable to delay or keep away from foreclosures altogether with Texas hard money lenders and hard money loans. Hard money loans are money loans that might be backed by the worth in your house. You need to use the money to make mortgage funds when you purchase your self additional time to promote your own home, moderately than have the financial institution foreclose on it. So as to get a hard money loan, you want to first contact Texas hard money lenders. A lender will look over the worth of your private home in contrast to what you owe and assist you get a money loan primarily based on this quantity. The good information right here is that Texas hard money lenders do not consider your credit score rating, so a couple of late funds will not make a distinction. After getting the money in hand, you should use it to assist delay the foreclosures course of and put your private home in the marketplace. You may also go for an curiosity solely loan, which means that you just solely pay curiosity on the loan for a set time period which supplies you extra money in your pocket as a substitute of all of it going out in month-to-month funds. Remember the fact that your hard money loan may have the next rate of interest than most residence loans. Nevertheless, when you worth your private home to promote and use a number of the funds to repair and main points, your private home ought to promote rapidly, permitting you to pay again your loan to the financial institution in addition to to your Texas hard money lenders. The quicker you may pay the loan again, the much less curiosity you’ll pay in the long term. Whereas taking out an extra loan will not be all the time perfect, it might be your solely choice if you would like to keep away from the financial institution foreclosing in your property. Contact a hard money lender to decide if a hard money bridge loan is an effective choice for you. In regards to the creator: Dennis has been working in the actual property trade in some capability for the final 40 years. He bought his first property when he was simply 18 years outdated. He rapidly realized concerning the wonderful funding alternatives supplied by trust deed investing and hard money loans. His want to assist others make money in actual property investing led him to concentrate on different funding for actual property traders who might have hassle getting a standard financial institution loan. Dennis is keen about different funding sources and sharing his data with others to assist make their desires come true. Dennis has been married to his great spouse for 38 years. They’ve 2 lovely daughters four wonderful grandchildren. Dennis has been an Arizona resident for the previous 32 years.